If it wasn’t for genomic testing, Mogul Pastel would be just another heifer calf valued around $750. But her Holstein Association’s USA’s Genetic Total Performance Index (GTPI) is so far beyond average – at 2561 – she’s now recognized as the second highest rated red carrier Holstein calf in the country. That number, in turn, led to another figure — $25,500 – the price she sold for at the Missouri State Convention Sale in January. She now lives in a New York dairy where she will improve their breeding program. Pastel is a Holstein heifer born Sept. 9, 2014 at the Foremost Dairy Research Center, one of the research farms of the College of Agriculture, Food and Natural Resources, University of Missouri. The Foremost Dairy Center is the Division of Animal Sciences’ 820 acre research and teaching farm west of Columbia. The center supports 425 cattle, including Holstein and Guernsey breeds. Its research aims to improve milk production and reproductive efficiency, dairy herd health, nutrition, and milk quality. Foremost plays a key role in the Division’s teaching mission, providing experiential learning opportunities through laboratory courses, undergraduate independent study, the dairy club, and graduate student research projects. The farm is also an essential resource for Mizzou’s College of Veterinary Medicine, supporting clinical training of veterinary students and research in animal health. John Denbigh, dairy farm manager, with Pastel, Amanda Fischer, animal science major, Ann Callahan, pre-veterinary medicine, and Eric Adkins, research specialist. Photo by CAFNR. About a dozen MU dairy students work at the Foremost Dairy Center each semester, learning the operation of a working dairy farm. Pastel was part of that learning experience. In fact, as a new management strategy, she was one of the first 20 calves at the farm tested using a genomic DNA panel to increase the reliability of her TPI. It was then her high genetic rating became apparent, said John Denbigh, dairy farm manager. TPI, or total production index, is a guideline created by Holstein Association to rank Holstein cattle and assist dairy producers worldwide in identifying superior cattle with high production potential, and desirable health and fertility characteristics. TPI also measures an animal’s potential for superior feed efficiency and ability to produce milk. The index also measures the genetic ability to reproduce superior and healthy offspring. An average Holstein’s TPI is around 1800. Pastel’s $25,500 price will go into the farm’s operating account. The farm’s previous best-selling cow sold for $5,000. Pastel’s superior lineage came about by the suggestion of a pair of dairy students, Denbigh said. The students had attended a national dairy show and were impressed by the genetic characteristics of a bull named Mountfield Mogul. The students suggested he mate Mogul with a Mizzou heifer named Shameless Patty. Finding Pastel’s true genetic potential is an example of genomic research going back more than a decade at Mizzou. It was Jerry Taylor, curators’ professor and Wurdack Chair in Animal Genomics, and Robert Schnabel, research associate professor, who helped create the technology used to identify Pastel’s superior potential. In conjunction with USDA researchers, the pair created the Illumina BovineSNP50 BeadChip, an inexpensive and easily used device that investigates variant positions in the DNA of cattle and is used to evaluate genetic merit in both dairy and beef cattle. Often referred to as a SNP chip, it allows scientists to obtain information concerning the DNA bases present in an animal at over 50,000 predetermined positions within the genome (the genome is the entire DNA of an animal). Since its 2007 introduction, this assay has been applied internationally within the dairy and beef industries to improve genomic selection options, said Jared Decker, assistant professor of beef genetics extension and computational genomics. This approach allows the estimation of an animal's genetic merit at birth from a DNA sample that may be obtained from hair roots, blood sample or even a nose swab. Predictions of genetic merit made through SNP data are now actively being used by Holstein breeders to make selection decisions on bulls. 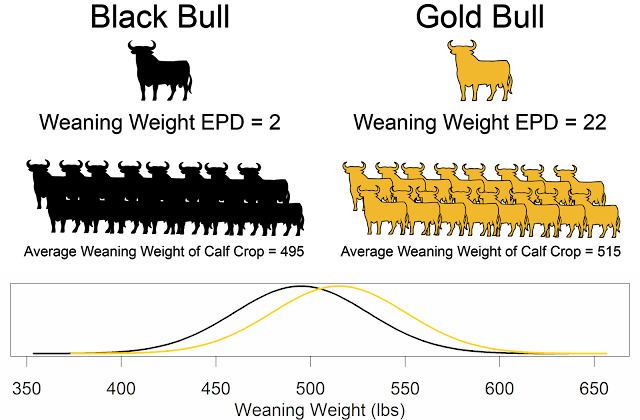 The industry received immediate benefits from substantial gains in the accuracies of predicted genetic merits early in an animal's life, allowing easier identification of superior animals at a lower cost. This permits more rapid genetic progress, Decker said. The SNP chip is now part of the criteria that identified Pastel’s superior traits. Research is also continuing today at MU in improving dairy and cattle traits in other ways. 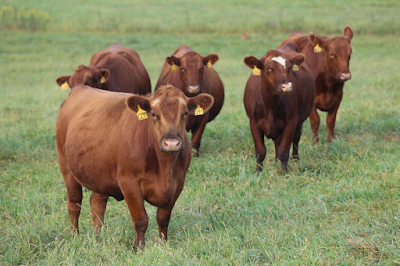 The MU animal genomics group is involved in research to utilize DNA technology for the prediction of genetic merit for economically important traits in cattle, including disease susceptibility, feed efficiency, milk production, reproduction, and growth. Results of the bovine respiratory disease research should conclude in about two years with the testing of a genomic tool to help identify animals with a prevalence to this disease.